SMEs that hire job seekers under the age of 30 or workers aged 50 or older will share in a redesigned national wage subsidy pool, worth approximately $1.2 billion over four years. In a statement accompanying the budget papers, Employment Minister Eric Abetz said the subsidy pool, which is part of the government’s Growing Jobs and Small Business package, will “support employers and assist job seekers into work”. The subsidy pool consolidates four existing programs: the Long Term Unemployed Wage Subsidy, the Youth Subsidy, the Restart Subsidy and the Tasmanian Jobs Programme. From November 1, eligible employers will receive a subsidy of up to $6,500 if they hire a job seeker under the age of 30, an Indigenous job seeker, a parent returning to the workforce, or a long-term unemployed job seeker. Eligible employers that hire workers aged 50 or older will also receive up to $10,000 under the Restart arm of the program, and the cash will be available progressively over 12 months instead of the current 24 months. This will be the first time an employment subsidy of $6,500 will be available for parents who are on income support and the subsidy available through the Tasmanian Jobs Programme will increase from $3,250 to up to $6,5000 over six months. “These reforms will provide assistance to employers when they need it most by helping with the upfront costs of hiring and training new staff,” said Minister Abetz. 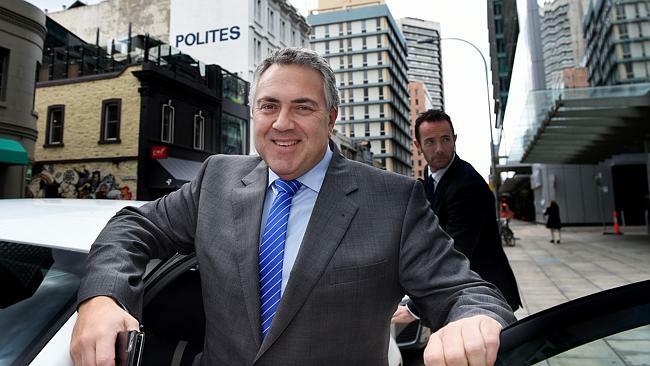 Abetz said the government will also commit $331 million over four years for a new “Youth Employment Strategy”. This includes $212 million over the four years to provide an intensive “Transition to Work” program to support people aged between 15 and 21 years who are at high risk of long-term unemployment and welfare dependency. An additional $106 million will also be provided for support programs for vulnerable young people at most risk of long-term unemployment, including migrants, parents and those experiencing mental illness. The budget will also include $18.3 million over five years for a national work experience program, which will allow job seekers to complete up to 25 hours of unpaid work experience a week for up to four weeks while still receiving income payments. “This will allow particularly young job seekers the change to develop practical skills, gain workplace experience and better connect them with real jobs,” Abetz said. Number of people without jobs at 6.1 per cent, falling for the second month in a row. The rate of unemployment fell to 6.1 per cent in March, confounding economists’ expectations that it would remain at 6.2 per cent. 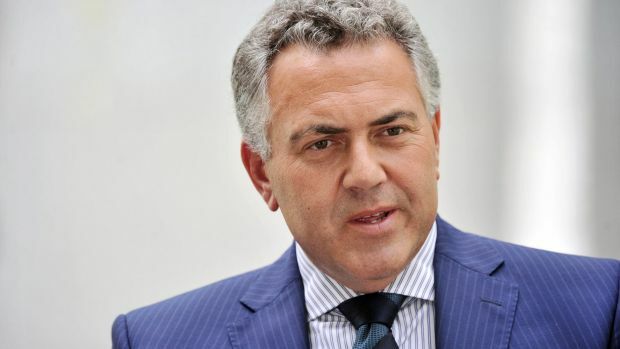 The Australian Bureau of Statistics reported the 0.1 percentage point drop just a day after the International Monetary Fund predicted unemployment to stay well above 6 per cent until 2016. • The best and worst jobs – where does yours rank? The news immediately caused the dollar to jump from just over 77 US cents to closer to 78 cents. However it soon dropped to 0.774 US cents. The ABS said the number of people employed increased in March by 37,700, reaching 11,720,300. The number of men in full-time employment increased by 24,800, while the number of women in full-time employment increased by 6,700. The total number of hours worked in March were 1.73 billion. While the surprise drop in unemployment is potentially very good news for the economy, in trend terms it represents no change, at 6.2 per cent. 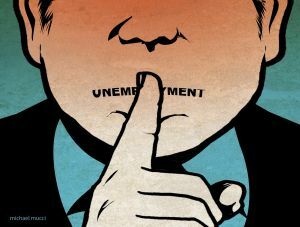 Nevertheless, the March figure is far below the IMF’s forecast that unemployment will average at 6.4 per cent for 2015. Responding to the figures, Employment Minister Eric Abetz said: “We are absolutely determined to create every possible opportunity to create jobs in Australia,” adding that he devotes “every waking moment” to achieving this goal. The release of the Intergenerational report in early March catapulted me into a state of confusion. Only the night before, I had been at the Australian Human Rights Commission launch of their corporate toolkit where they played a short video developed by the Age and Disability Discrimination Commissioner, the Hon Susan Ryan AO. 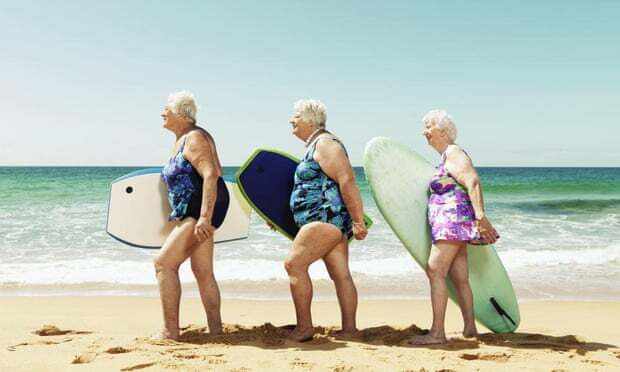 This video celebrates the power of oldness. Not only is it thoroughly entertaining but it also dispels some of the myths about the capability of people in their more mature years. However, the quirky video also revealed a sinister reality – that mature age workers face substantial discrimination and other barriers to fully participating in the workplace. The Intergenerational Report has projected life expectancies to increase to 95.1 years for men and 96.6 years for women by 2054-55. 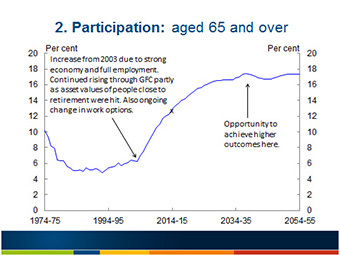 It also projects labour market participation rates among those aged 65 and over to increase from the current rate of 12.9% to 17.3% in 2054-55. But until we tackle widespread ageism, is this increase really possible? For most people, paid work is an incredibly important part of their lives. Not only does it provide a pathway to financial security but it also provides social interaction. It can contribute to improved self-esteem, mental and physical health and life satisfaction. Yet the Australian Human Rights Commission has reported that age discrimination was most likely to occur in the workplace, and that more than a third of Australians aged 55+ years have experienced age-related discrimination. Dishearteningly, the Commission also found that younger business decision makers are the most likely to hold negative views of the workplace capabilities of older workers. In the context of an ageing population and an ageing workforce, this type of stereotyping is very problematic. All of this is despite the fact that we know employing older workers can bring a range of benefits both to our workplaces and to the national economy. For example, increasing the labour participation of women throughout their working lives is estimated to have a major impact on the national economy. Economist have noted the major impact that increasing the participation of older women would have on the economy. 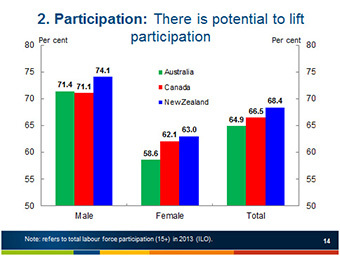 Modelling by the Productivity Commission indicates that increasing older women’s labour participation rates to match men’s could increase per capita GDP growth to 2044-45 by 1.5%. Research by the Grattan Institute has found that the combination of increased labour participation by women and older people could grow GDP by $50 billion over the next decade. For older women, continued workforce participation throughout their later years is especially important as their retirement savings are likely to be much less than men’s. Men have an average super payout of $198,000, while women average $112,600 due to the increasing gender pay gap and time out of paid work to accommodate caring responsibilities. There are clearly benefits to our economy of ensuring increased labour market participation by our older workers. But what other benefits can older workers bring to our workplaces? train other employees by sharing skills. So how can we start a positive conversation in workplaces around engaging older workers and removing bias and discrimination against them? Diversity Council Australia has conducted extensive research into labour market issues affecting mature age women and what employers can do to attract and retain older women. In our report, Older Women Matter, a framework is laid out to positively support women into improved workforce participation. This framework (see below) provides a set of guided principles around productive employee engagement, workplace flexibility and the removal of structural and cultural barriers. Employers can implement a range of initiatives to better support mature age works, in particular older women. But first we need to stop thinking negatively about older workers and start appreciating the enormous potential and value that older workers bring to workplaces across the country. Then we can truly harness the power of oldness.